Higher consumption of fresh fruit is associated with a lower risk of Type 2 diabetes and diabetes complications, according to a new Chinese study. Approximately 30.3 million people in the United States and 113.9 million people in China have diabetes, with millions more at risk of developing the condition. The health benefits of fresh fruits, which provide significant amounts of essential vitamins and minerals, are well established, and include a possible reduction in the risk of conditions such as heart disease, certain types of cancer, obesity, and kidney stones. However, because of its sugar content, questions have remained about the long-term affect of fruit on people with and at risk for diabetes. To evaluate the impact of fresh fruit consumption (defined to exclude canned, dried, or other processed fruits and fruit juices) in these groups, researchers from the University of Oxford recruited more than 500,000 people from 2004–2008 enrolled in the China Kadoorie Biobank. Participants completed a questionnaire interview and had physical measurements and blood tests taken. Follow-up lasted seven years and looked at the development of new cases of Type 2 diabetes, as well as the incidence of diabetes complications or death in people who already had Type 2. In total, 18.8% of the subjects reported eating fresh fruit on a daily basis, while 6.4% indicated that they rarely or never ate fresh fruit. Among those who did not have diabetes at the start of the study, daily consumption of fresh fruit was linked with a 12% decreased risk of developing the condition, compared to rarely or never eating fresh fruit. Each daily portion of fruit was linked to a 12% decrease in diabetes risk. In participants who had diabetes at the start of the study, eating fresh fruit more than three days a week was linked with a 17% lower risk of dying from any cause and a 13% to 28% lower risk of diabetes complications, including heart disease, stroke, kidney disease, eye disease, and neuropathy (nerve damage), than eating fresh fruit less than one day per week. 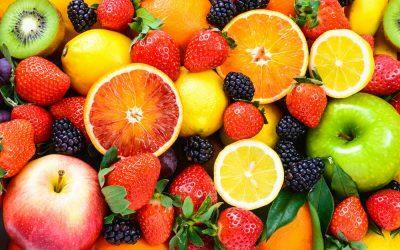 Because the study was observational, it cannot prove that fresh fruit led to the observed health benefits. Additionally, “the exact mechanisms through which fresh fruit consumption may be protective against the development and deterioration of diabetes are not very well understood,” noted lead study author Huaidong Du, MD, PhD, of the University of Oxford. Nonetheless, “these findings suggest that a higher intake of fresh fruit is potentially beneficial for…prevention of diabetes” and “for individuals who have already developed diabetes, restricted consumption of fresh fruit…should not be encouraged,” the authors state. For more information, see the article “Fresh Fruit May Prevent Diabetes and Related Complications” or the study in the journal PLOS Medicine. And to learn more about the health benefits of avocados, read “Super Fruits: Can One a Day Keep the Doctor Away?” by certified diabetes educator and registered dietitian Amy Campbell. Want to incorporate more fresh fruit into your diet? Try our recipes for Summer Fruit Salad and Colorful Fruit Medley! Are you the parent of a person with Type 1 diabetes? You may be interested in the new Parent Ambassador Program being launched to connect college students with Type 1 diabetes to local families. Bookmark DiabetesSelfManagement.com and tune in tomorrow to learn more.